Barn owls are used as biological pest control agents in Israel to reduce pesticide use and assist farmers. We study the diet of barn owls in Israel not only to make sure that barn owls are predating only on agricultural rodent pest species but also to study the regional and annual variation of barn owl diet throughout Israel. 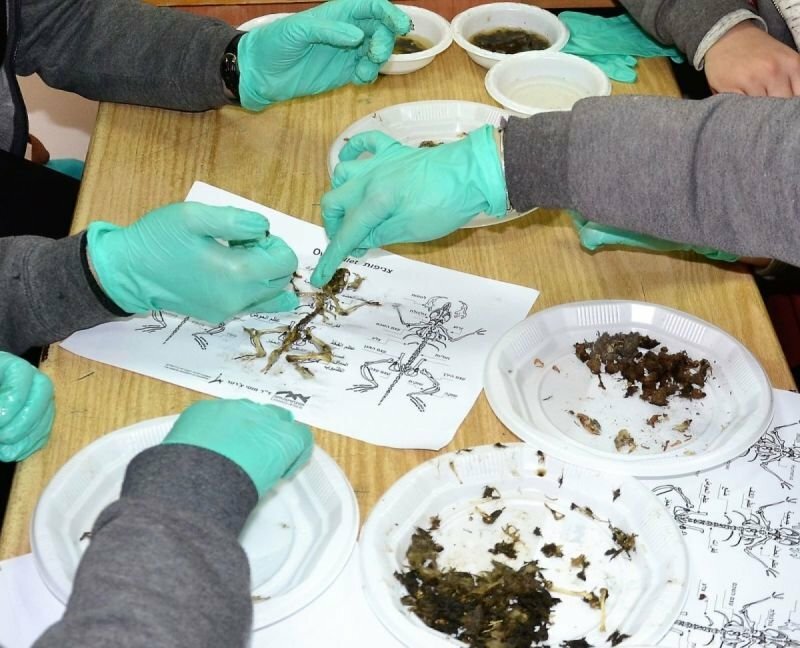 In the past we studied the diet only at the academic level and now we want to incorporate middle and high school students in Israel that will lead the study (Citizen Science). This way, not only will our goals for the pest control project of knowing the diet will be accomplished but also the school children will learn the skeletal system of rodents and humans (currently children do not learn about it in Israel), learn how to research at the academic level, be also to able to participate in a citizen science research study and to help Israeli farmers. This project is done in cooperation with the US Embassy in Israel, Dr. Stuart Fleischer (Project GAIA of the American International School) and Dr Irit Sadeh (Israel Ministry of Education).